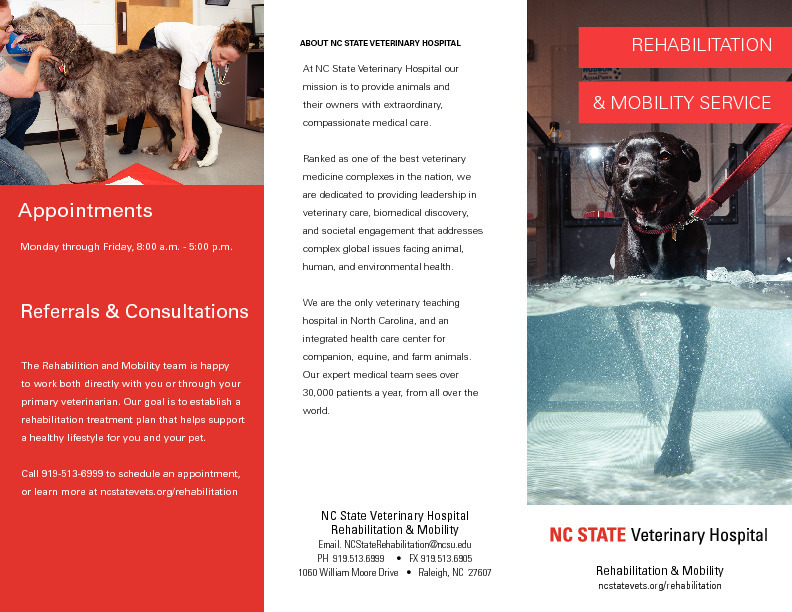 The NC State Rehabilitation and Mobility Service at the Veterinary Health and Wellness Center offers a wide range of rehabilitative, fitness and pain management services to treat dogs, cats, and other small animals. 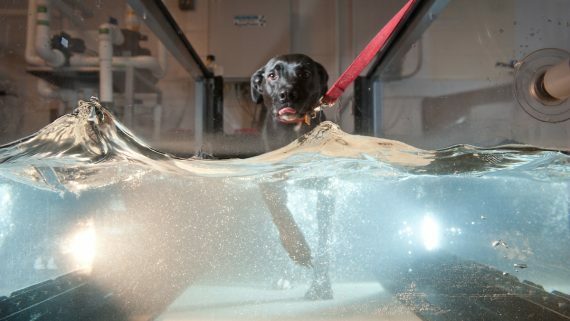 Rehabilitation benefits many pets, including those with orthopedic and neurologic conditions (both post surgical and non surgical),those with arthritis and pain management needs, canine athletes, and pets needing help with weight management. In addition to our inpatient and outpatient services, we provide continuity of care for our tertiary postoperative and medical patients, helping and assisting owners in the transition of their pet from hospital to home. 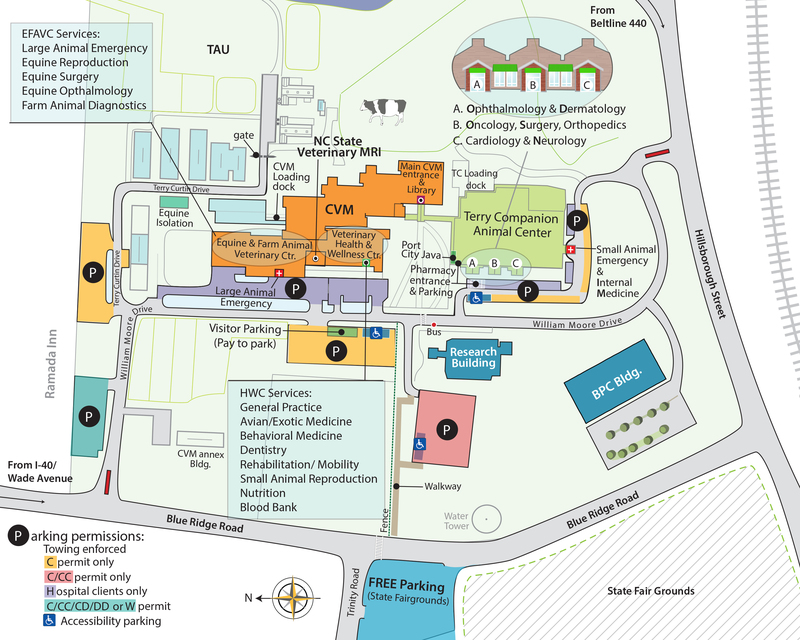 The Rehabilitation & Mobility service is open to the general public and welcomes referral cases.